This month’s NIH Research & Consulting (NIHR) Staff Feature is on Gary Bennett! Gary has a wealth of knowledge and over 20 years of industry expertise in Technology, Sales, and Research. The pace of technological change has been phenomenal over the past decade. 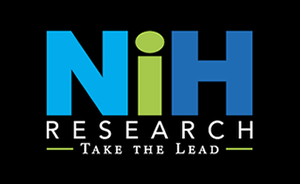 At NIH Research & Consulting, we have the opportunity to introduce caregivers to these amazing new technologies that provide healthcare organizations with new efficiencies while also improving patient outcomes. I enjoy learning about new technologies, getting to know the challenges our clients face, and helping them introduce new products and services to the healthcare community. Working with a highly experienced team at NIHR, I learn something new from my co-workers almost every day. Everyone brings something unique to the table. I have 30 years of experience in healthcare technology and vast knowledge of the sales cycle. I also have an extensive background increasing brand awareness for companies expanding into healthcare information technology (HIT) verticals. I understand what it takes to be successful to help our clients find their own unique niche and identify opportunities. Many of our clients are rolling out a new product or new technology and this experience is pivotal. I excel at identifying the right people for our clients to speak with because I understand the sales cycle and technology extremely well. The thing I enjoy most is getting repeat business from customers. I excel at finding the pivotal contacts and key decision markers to effectively communicate the value proposition of our clients. I study Maya Hieroglyphic Writing and have spent quite a bit of time exploring Maya ruins in the Yucatan and Guatemala. This interest started early in my career when I earned Sales Person of the Year at a software company and I won a trip to Mexico. A friend of mine sent me with a book on Maya writing and it led me to this fascinating hobby. I now attend conferences on Maya Hieroglyphic Writing all over the world. Congratulations to Gary Bennett from all of his colleagues at NIH Research & Consulting on Staff Feature of the Month!